I think we all know who Michael Jackson is, the Prince of Pop and the one who popularised the famous ‘Moonwalk’ dance move. The legend past away in a cardiac arrest in 2009 caused by a lethal combination of prescription drugs leaving behind his children. His daughter Paris-Michael Katherine Jackson was only 11 years old when her father passed away. Her father made Elizabeth Taylor and Macaulay Culkin the godparents of her and her brother Prince. Paris is all grown now and is 20 years of age. As a teenager, she suffered from depression which was the result of being physically assaulted and raped by an older man who was a stranger to Paris when she was just 14. She started taking drugs and attempted suicide three times. At the end of her traumatic side, she was admitted to a therapeutic school in Utah, where she completed her sophomore and junior year of high school and finally overcame depression. She is the second child of Deborah Jeanne Rowe. After Michael and Lisa (his first wife) divorced, Jackson met Deborah who worked as a nurse where he was treated for vitiligo. While Jackson was worried to not be able to have children post-divorce, Debbie offered him to bear his children for him. And that’s when Prince and Paris came into the picture. The couple married but then again divorced after Debbie couldn’t handle the celebrity life of the Prince of Pop. 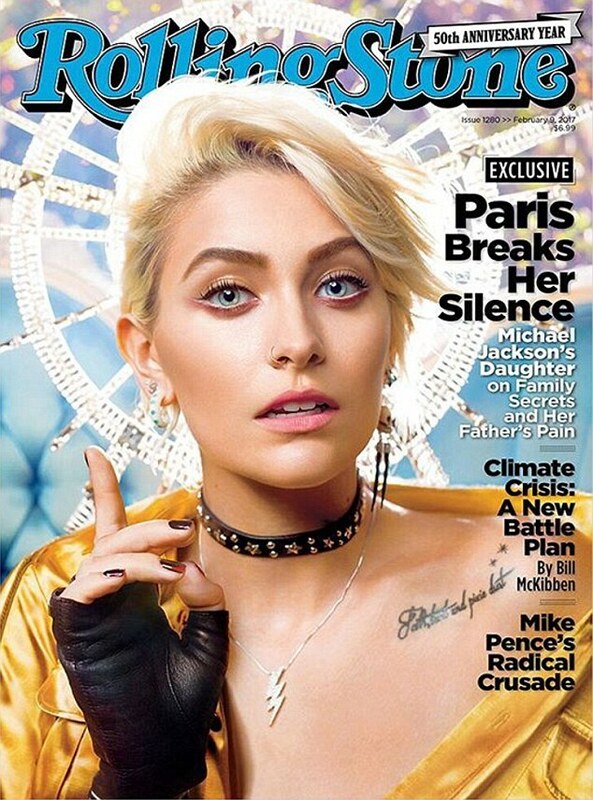 Paris Jackson has been speculated several times that she is not the biological daughter of Michael. Due to her fair skin, many people called her white and looks Finnish. It was because her father was an African-American with dark skin who started out his career as a member of the Jackson Five and later went through numerous cosmetic surgeries which whitewashed his dark skin into pale white. In an interview with the Rolling Stone Magazine, the 20-year-old said, “I consider myself black”. The gorgeous blue-eyed Jackson who is now a model and actress says she was raised normally by her father. They lived in a mansion called the Neverland Ranch, a 2,700-acre California estate, which featured an amusement park, zoo, and a movie theatre after his father took full custody of the kids post-divorce with Debbie. “My dad raised me in a very open-minded house. We had school every single day, and we had to be good. And if we were good, every other weekend or so, we could choose whether we were gonna go to the movie theatre or see the animals or whatever. But if you were on bad behaviour, then you wouldn’t get to go do all those things”. Fans edited the picture of Michael and Paris. Paris also told Rolling Stone magazine that her father was not homophobic and very open about sexual orientation. Paris is now rumored to be dating the British Super Model Cara Delevingne. After whatever she went through, Paris is now in a very positive state and we believe that her father would be very proud to see her overcome all the obstacles in life and how she stands very grounded about her roots being a black woman. She is a young inspiration for all those who have an identity and racial crisis being born into a biracial background. And also we love and adore the young and hip couple.